These are just some of the hundreds of objects recorded in 1999, as well as some objects from previous fieldwork. Some objects were hidden in large concretions, looking similar to natural rocks. Such concretions had to be removed with chisel and hammer (hard work). Some concretions proved to be hollow, containing just the shape of a rusted-away iron object. 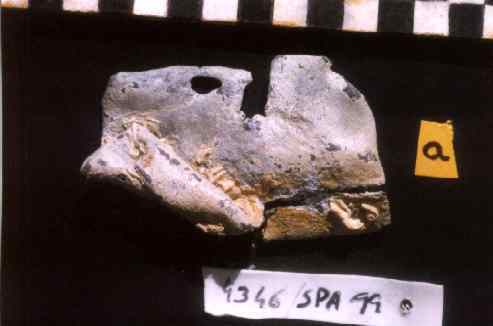 Other concretions contained intact objects (e.g. 2 cannon balls and one large wooden block with rope still on it). Among the other finds are pieces of pottery and glass. The finds are now at the Instituto Português de Arqueologia, Lisbon. 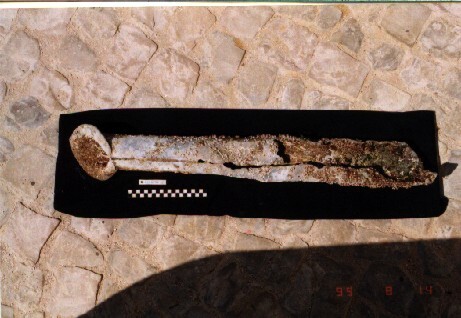 Unidentified: 90 cm long lead tube, possibly used as a scupper flushing water from the deck. If anybody can identify it, please contact me. 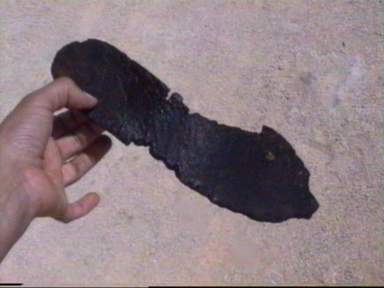 This boot or shoe sole is the only piece of clothing found so far. Plenty of lead sheathing from the hull was found. 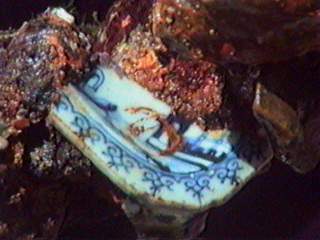 Piece of Chinese porcelain found encrusted to an iron object. Plenty of water buckets were needed for cleaning, desalinating and storing the finds. Here is Joana with a large concretion with unknown contents. 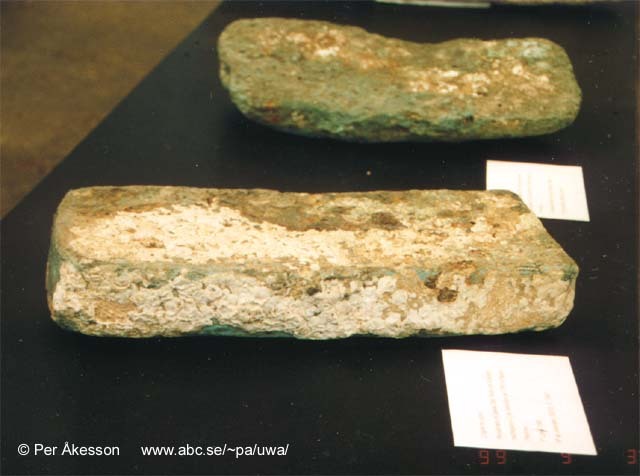 The only two copper bars from the cargo that have been found. These were recovered before 1999.